A quick note about all of this. Games for both the Xbox One and PlayStation 4 are not region locked, so if you order this and live, say, in the U.S., then you can certainly play the game. 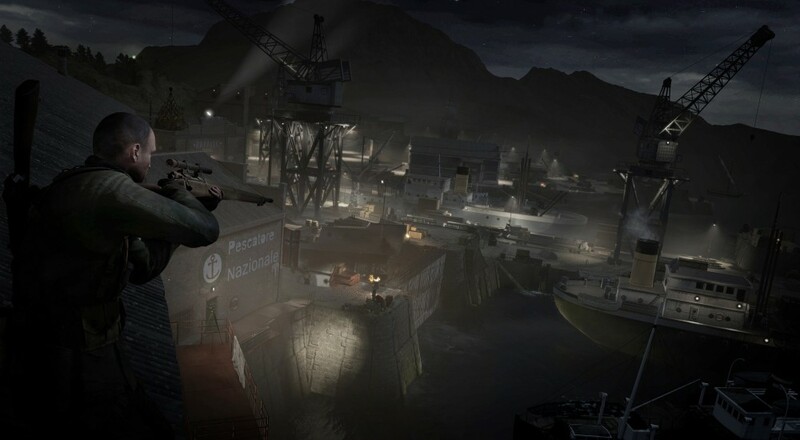 DLC for the PlayStation 4 is region locked (the codes are only valid on a PlayStation associated with the appropriate country) and it's quite likely that the Camo Rifle skin pack and "Target Furher" mission pack are both DLC. 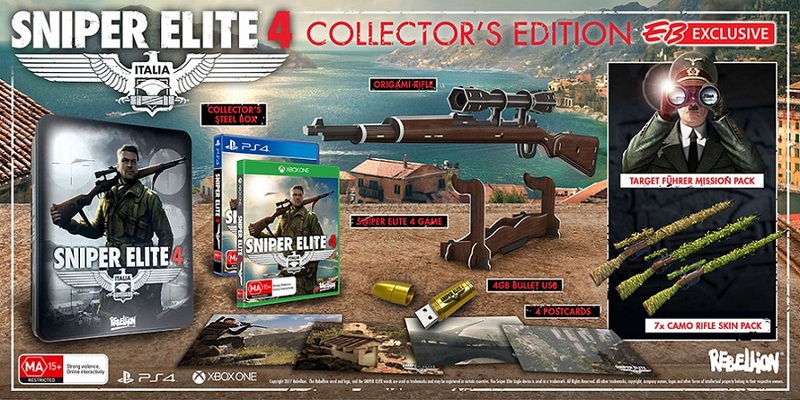 Sniper Elite 4 is slated for release on February 14, 2017 on the PC, PlayStation 4, and Xbox One. It will support two player online co-op throughout the campaign.